Publish Brand is now available in store @ both Hidden Hype locations as well as online. A Casual, Yet Intelligently Sophisticated Street wear brand. Publish pieces are timeless & innovative. Utilitarian & Refined. 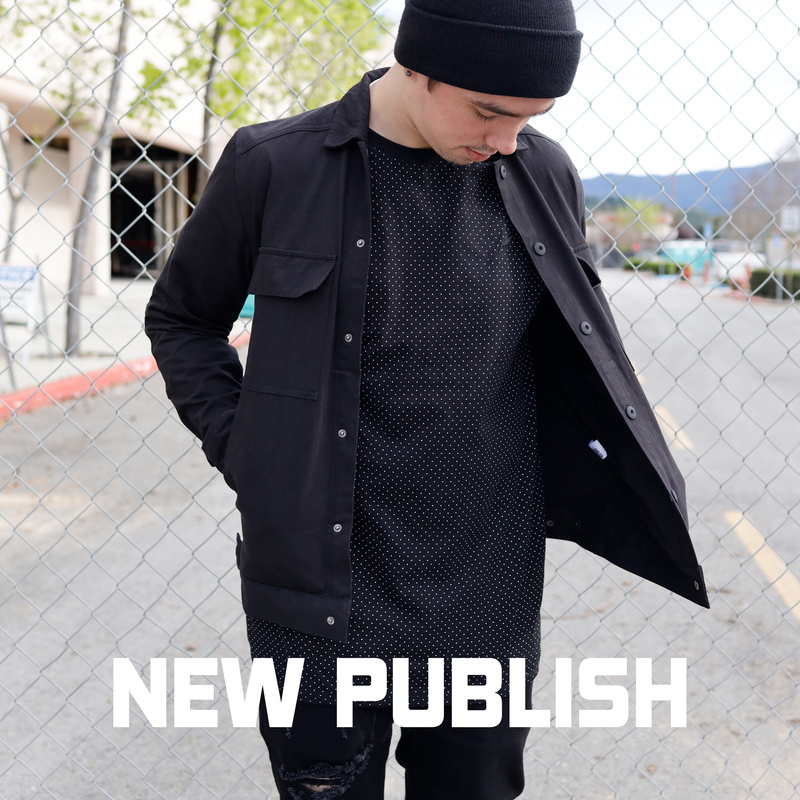 Publish is a brand that offers fashion basics such as tees, long sleeves, henleys, work jackets, fleece, zip hoodies, joggers, pants & more with a focus on quality and fit. Each piece is carefully crafted to fit just right. They really know. From the inside lining of their shirts, to the hem, ribbing & stitching, they knock it out the park. For the price, you can't beat it! They have been around as a brand for many years now, but we are just starting to carry them now. We just got our first delivery from them. Publish always has a core program as well as new releases for each season. Check out some of the pieces below and let us know what you think! We are also going to get new releases from them soon so stay posted!